Currently we are taking a bus to a place called sesimbra. We got on the bus 1 hour ago, drove 4 miles, heard a horn honk and we stopped. Apparently the horn was the sound of us getting in an accident. We were going about 3 mph when it honked, then we stopped, and the driver put on a florescent yellow vest and went outside with his papers. I went to see what happened, and all I could see was a little delivery truck parked in the middle of traffic with no visible damage and its driver wearing a matching vest. Update: after about an hour and a half of waiting, we decided to ditch the bus and do something else. 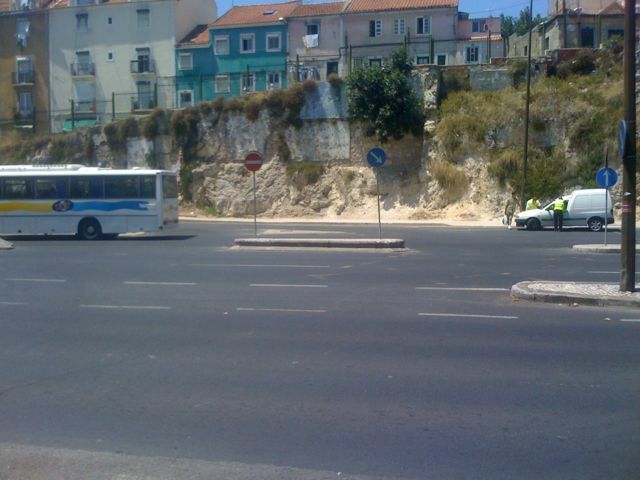 We will have to visit sesimbra another day. 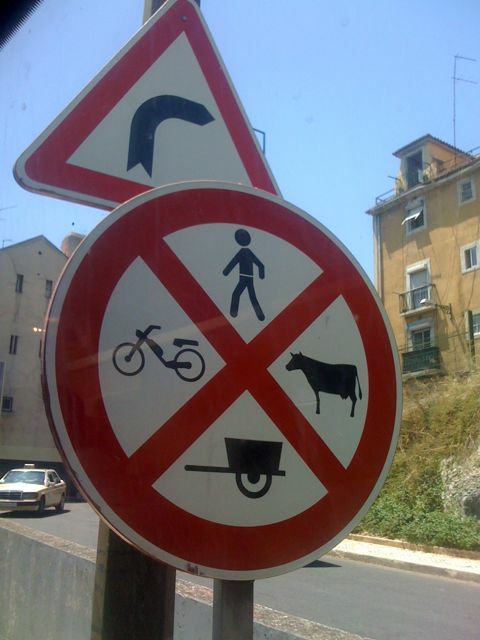 Also, the whole time we were stopped on the bus the sign in the photo below was right outside our window… No cows? No horse drawn carts? what? you have to turn right if you’re herding cattle or traveling on the oregon trail.